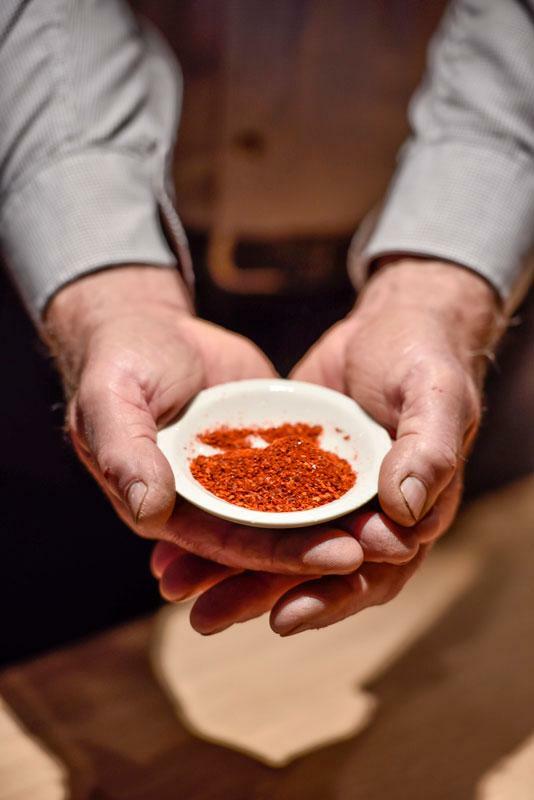 Created in 2005, GP Pays Basque is a group of about fifteen producers of Piment d’Espelette PDO aiming to combine product excellence with top quality service. This company produces, processes and distributes its products. GP Pays Basque puts the customer at the heart of its strategy. It identifies specific needs and follows a ground-breaking quality procedure in Espelette pepper production in order to produce the best possible peppers. GP Pays Basque offers a product which not only adheres to specifications, but goes way beyond those requirements. We also have full control of the safety of our products throughout the production process, from plot to end-consumer. GP Pays Basque has had trusted working relationships with producers for ten years. They are spread across the entire production area, ensuring control of raw material supply. Plots are regularly visited from planting to harvesting, in order to check on the health of the crop. GP Pays Basque is committed to involving the workforce in the life of the company, setting up a system of participative management so that each member can give their opinion on company plans. For the last 10 years GP Pays Basque has been moving closer to organic methods of cultivation, using the same methods as organic farming: limited cultivation density (number of pepper plants per hectare), use of agricultural-origin organic matter to feed the plants, a strict prohibition on GMOs, weeding mechanically or by hand, crop rotation, and waste management across all operations and in administrative facilities.